With all respect, the C130 is becoming a totally yesterday aircraft, the KC390 seems much better in this segment. It's been "totally yesterdays aircraft" for 50 years, yet it still sells, it is still a magnificent aircraft and will be for probably another 50 years. It still is as relevant today as it was when it first flew, other manufacturers would kill to have it's success. I wonder if people here have an idea on the production rates and the amount of US government foreign sales in the C130 backlog. How large is the backlog? When will LM itself call it a day? Have we forgotten all C130J controverses? Both France and Germany have purchased C130Js within the last year because A400M wasn't fit for purpose. In a similar time frame, Indonesia started out with a MOU for five A400Ms and it's shifted to first four A400M and now 2*A400M + 5*C130J. C130J is still today's aircraft. A400M's last order was 2005. Airbus has lost EUR 8.5B on it and is reducing staffing on it. The agreement with customers to restrict future costs and developments is still a MOU. The program is still struggling IMHO. Initial Order was 73, 53 is already the first reduction. That is marketing for domestic use, without that total approach there is no way to get the money. The A400M can go where ever the C160 can go, which means it can go places the C130 can't. No it can not, simply because it is bigger and the load per wheel is about 100% higher that for the C160. That might be so, but it is all about the load per sqmm, not per wheel. You don´t say. Still the C-160´s ACN number is crazy low, a third of a C-130 at the individual maximum landing weight. A400M is better than the C-130 according to most sources, but still a long was off from the C-160. So double over a C-160 is still fantastic. Both France and Germany have purchased C130Js within the last year because A400M wasn't fit for purpose. A quiet liberal interpretation. In the article I see delays as the prime reason. Apart from that, please keep comparing the two, while they are not in the same segment. Now we clearly see you walking back your "do it all" designation for the A400M. The new logic seems to be that because it comes up short on the missions it can do it must be in a different segment. That new segment seems to be "plane too big and heavy to be tactical transport and too small and slow to be strategic transport and too expensive for most export customers". Not a great segment to be in. Nice french lady manager talking about how long it took to put all the extra protections on the aircraft just to land on an unpaved but otherwise totally prepared runway doesn't build a lot of confidence, does it? What will happen in real military service without the company test pilots and dozens of engineers supervising the event? As a former special ops mission planner I commented on this thread years ago that the A400M just didn’t have the mission flexibility needed to support many of the missions we carried out. Subsequent events have borne that out. It is a good aircraft for moving slightly larger loads than a C-130 but I couldn’t imagine anyone’s Air Force risking such an expensive trash hauler landing regularly on an unprepared surface. One wadi/arroyo/sunken road across the landing path or an errant buffalo, camel, pack of crazed locals or a herd of goats and your day is ruined. I can only imagine the unfortunate aircraft commander’s angst getting on the satphone to higher explaining how he or she just trashed some large percentage of the nation’s entire strategic airlift. I have 31 such tactical landings as mission commander in various locations and each time everyone in the cockpit was in high pucker mode as we made the approach. Oh, and not only were those landings made on unprepared ground, they hadn’t even been previously visited by a tacair ops team much less surveyed for trafficability and obstacles. Several of them were immediate medevacs and were tasked while we were in orbiting overwatch so they gave us a gps coordinate, the medical condition of the casualty and the color of smoke. And that was our entire mission package and the total planning horizon was 30 minutes. the vast achievement of fitting a new light bulb by marshaling 5 highly qualified people? Revelation, I have no idea why you are suggesting the A400M is not meeting it's specifications. There have been delays, ok. But name me defense programs that weren't delayed/ over cost. At least the C17 & C130J didn't show the way, to state it mildly. The A400M is entering service in growing numbers while the operational envelope is expanded. To have only big expensive A400M won't be anyone choice, so other smaller transport will be sold to complement. GRIVely statements seems far from objective and it seems he hasn't been close to a A400M. Slightly larger loads, wtf? A400M was cleared for medivac weeks ago. And can carry dozens more patients from soft runways and get them out at M.7 at 35.000ft. Of course, why risk trashing / delaying an expensive prototype, when you can perfectly measure & analyse what happens without potentially wasting a lot? How many C130J's has the USAF ordered in the last 5-10 yrs? Revelation, I have no idea why you are suggesting the A400M is not meeting it's specifications. However none of us knows what A400M will become because that's still being hashed out ( ref: https://www.reuters.com/article/us-airb ... SKBN1FW1TR ). Meanwhile it's clear Airbus is taking its money off the table ( ref: https://www.defensenews.com/industry/20 ... roduction/ ). And Germany is expressing concerns ( ref: https://www.reuters.com/article/us-airb ... SKBN1H51CX ). I don't think you should expect much more envelope expansion. GRIVely statements seems far from objective and it seems he hasn't been close to a A400M. Keyboard Warrier Keesje is going to tell us all about what the manuals say, lol. Let us know when a commander puts his job on the line and the A400M actually gets risked on an actual unprepared field landing. No wonder people who actually are in the know end up leaving this place quickly. Revelation I see a lot of unsubstantiated attacks on the A400m, amazing aquisitions and half truths. Apparently some have drawn there conclusions long before first flight and any tidbit that supports the goal is good enough. The requirement for bigger than C130 capacity is becoming more and more evident. 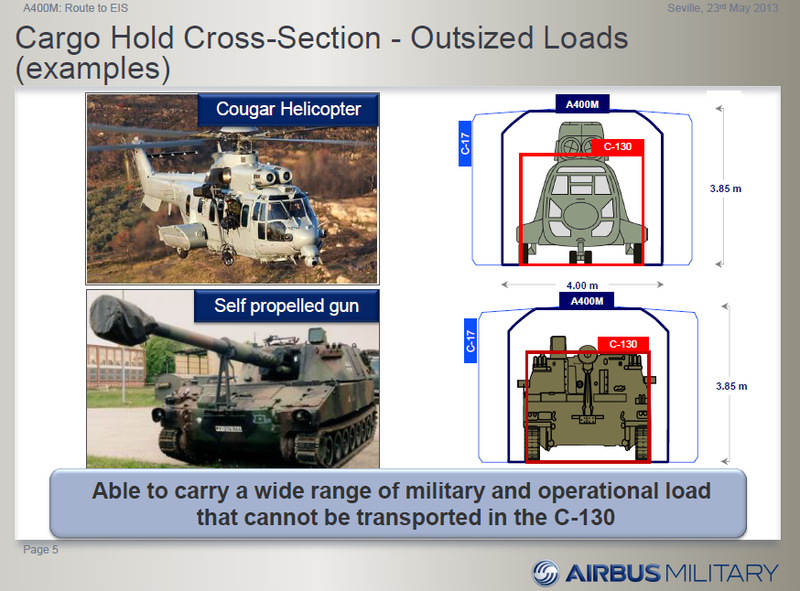 Even the US Army makes is emphasizing mobility and now specifying C130 transport as optional iso required. The link below is almost 2 years old but it looks like the US Military has ordered more C-130J's than the total of all the A400M orders in the last 5-10 yrs. Not that is really matters, they are not the same aircraft and not built for the same mission. Even more because of the negativity against aircraft demonstrated by some. What would you hate, if the A400M would not exist? A plane that a huge maintenance problems and an abysmal readiness rate. A plane that the Luftwaffe things unsuitable for important and time critical missions? A plane that the Luftwaffe will have to take 53, when they do not even want 40? A plane that will hurt the Bundeswehr budget with around 1.4 billion Euros, due to a loan Airbus won´t be able to repay? KEESJE, How many C130J's has the USAF ordered in the last 5-10 yrs? At least one guy that sees a 20t and 38t transport are not really the same. I don't know what the production rate is at this stage. But over the last decade we have seen years only a few were produced. In general I think it is realitic to say the program is hanging because no aternatives and political dependent nations may order them. The US armed forced needs a new medium transport urgently, regardless if it's a A400M or something else. Maybe Boeing can offer a customized kc390. It can carry 5t more, is 45cm highter internally, is faster flies further etc. and is probably way cheaper to maintain. I agree, that finding negative press about the Bundeswehr A400Ms is easy. Could be because the German public on average over the last 20 years got very critical against any military topic (and spendings in particular). The same applies to Switzerland or other European countries. The positive things were ordered (like size, range and so on) or can be expected of a new plane (like avionics). The proofing points are reliability, mission effectiveness and cost. And while the reliability gets better, it still has a long way to go. Mission readiness is another topic. See how quickly the first C130J from the Armee de´l Air was used for Mali and how long it took until they used the A400M. C130 is a fully mature system, A400M is not (yet). The problem is that there are only extremes in the debate. On one side the A400M fan club who says things that are simply wrong (like can land everywhere a C-160D could) and on the other side the haters. The A400M is not a bad plane (maybe a bit of a strange compromise though), but the users of the C-130J are also not in urgent need of a modern replacement. I think it is a good plane and will proof to be a system that will provide good service for decades. I am also against the C130 purchase by the Luftwaffe, as I think CASAs would have made more sense as a cheap and small option to go with the A400M, but then the A400M still has ways to go before one can say it has delivered on all expectations. What shall I say, you wrote a good post! Luftwaffe has zero bespoke mil stuff that works. some time ( or much more ) on the supplier side. German Navy has the same issues. recently all subs were out of order and layed up. replacement for damaged parts not available due to procurement foul up. That is not a problem with the aircraft, that is a problem of the Luftwaffe. The German armed forces are about as much use as a chocolate teapot. Army has issues with tanks and vehicles, Navy issues with sub and surface fleet and the Luftwaffe is barely functioning. I'm assuming the member Grively quoted above is a US serviceman. The US is the only place where the A400 isn't needed due to the location and uplift needs. Not to mention they have a congress that throws money at the C-17/C130 for political ends even when the service chiefs are saying they have enough. The Brits and the French who actually have operational experience with the aircraft love it. When it carries 2 or 3x the payload into/out of performance limiting airfields than the C-130, the value it brings is undeniable. More of your powerpoints, eh? Some one draws up a wish list and voila, eh? The US Army has all kinds of wishes over the decades, yet currently has no advanced ground vehicle development program that's even at prototype stage never mind in a position to impact USAF planning. USAF priorities in the near term are quite clear: F-35, B-21 and KC-46. Maybe some day US Army priorities will emerge, but till then, the USAF's got other things on its mind. And if you haven't noticed, FR just bought 4 and DE just bought 6. Meanwhile, last A400M order was in 2005. What would you hate, if the A400M would not exist? Maybe people who throw around the word 'hate' so carelessly? Btw the Starlifter, C130, GlobaMaster photo is more then 50 yrs old. I asked myself why they never put CFM56 on the Starlifter, that's medium capacity. Appears they were used so intensively since the early sixties they were totally worn out structurally. The Gulfwar finished them off in that respect. There were 26 C-130J delivered in 2017 and 24 in 2016. The backlog stands around 90 aircraft, and unless the US sign a large order that number is unlikely to change much. Most foreign orders have been in the single digits. Anyway, this is a great photo! You do realise that the "O" is for Objective, not optional. In other words, the objective is for it to be able to be deployed from the C-130, if it can't be, it must be able to be deployed from the C17. No doubt Airbus is hoping to get a good chunk of that 70%. Its definitely doable, but they need to get this bird to FOC, and find a way of cutting costs. It will make a good C-130 replacement for operators that have <6. He does know that given I pointed it out last time he posted that graphic but why let the truth get in the way of a good image upload... Of course he is also ignoring the experience the US Army has had trying to develop a new IFV which, before the last program was halted, was looking at upwards of 60 tonne. The US will never acquire the A400M as there simply isn’t a tactical or strategic requirement to do so. As mentioned a hundred times the USAF already has sufficient tactical and strategic lift and a new air transport program, if it emerges in the late 20s early 30s, will look at revolutionary technologies based around transport and support to the US future fighting force. The more interesting discussion is around what exports the A400M may have and the Indonesian experience as evidenced, as well as a general lack of market interest, shows the platform overall likely won’t see much service outside the development partners. Had it been delivered on time it may have been able to capture some interest and potentially delay or deny a market to other competitors but those delays, and the high sticker price, have dented export potential. While this sounds reasonable at first, politics may have played a bigger role than you're aware of. There are reports that suggest that the A400M deal was used as a leverage in the controversy about the Indonesian palm oil production. The EU has opposed the loss of rainforests and the forced displacement of inhabitants that go with the palm oil plantations. The United States of Donald Trump are likely to be less scrupulous when it comes to making money. That is a nice excuse and there may even be a small element of truth to it but it isn’t the be all and end all of Indonesian military procurement. Had palm oil been the only distinguisher then no A400Ms would have been acquired. Alternatively, they could go to the Russians, who are happy to take Palm oil and coffee as payment for military goods, and acquire Il-76MD-90As in return. Instead, as already stated, a review of their operational need shows where Indonesia see the most value for their current and future transport fleet. Meanwhile, France has accepted their second C-130J into service. Less than 6 typically indicate small budget and low requirement for long distance. In that context why acquire an A400M when a new C-130, or KC-390, could do the job and be significantly cheaper to acquire and operate. The KC-390 and C-130 cant do what the A400m can. The A400m can also do short distance just fine. While the A400m costs more, it brings a number of additional capabilities that these nations wouldn't otherwise be able to afford or justify. The KC-390 and C-130 cant do what the A400m can. They can’t lift as much payload as the A400 can but on most other metrics they are comparable in their capabilities. You’re making the logical leap that a nation will want a bigger aircraft for no reason other than it is bigger. There would need to be a clear requirement to operate a smaller fleet of larger aircraft over a larger fleet of smaller aircraft. Given the A400M is not flying off the shelf I don’t know what that requirement is and for most operators that have smaller fleets that requirement just isn’t present. A larger number of smaller transports potentially provide increased flexibility, redundancy and may actually provide overall more payload lift than a smaller number of larger transports. The A400m can also do short distance just fine. While the A400m costs more, it brings a number of additional capabilities that these nations wouldn't otherwise be able to afford or justify. But, the RAF probably lags the bigger picture and background knowledge some poster have. - move outsize vehicles / equipment - They all move outsize equipment. - refuel their fighters without a specialized tanker fleet - Both the C-130 and the KC-390 are or will be capable of that. - cruise at M.7 along civil airways - Small operators Keesje, they don't care about this. - land on unprepared terrain - ??? - support special operations on longer ranges - ??? There is little to no difference in the support of special forces between the platforms. Again Keesje, we are talking about nations with small fleets. They all move outsize equipment. No? That sets it apart. Yes, but that doesn't make it go away. also small operators do long distance, it's unrelated. Trouble / involvement is everywhere. Nope. Only a few specialized C130J can do it. Not something a smaller operator can afford. Yes, they do. Flying low / VFR isn't an advantage in populated areas anywhere. Yes? like no hardened runway? Small operators cross the Atlantic often. Or was the following a delivery flight via Nevada? In reality it sacrificed speed to be able to try to do tactical missions but it needed bulk to try to do strategic missions so it ended up as a compromised platform. In reality, new technology allowed to soften the borders between tactical and strategic missions without too much of a compromise. Germany ordered 53 A400Ms, but until recently planned to put only 40 into service. 73 were planned in 2001, but the funding for these didn't pass the Bundestag. So the initial order was 60 in 2003, which was reduced to 53 when the cost increases came pouring in. Reducing this to 40 was a domestic political compromise that got reversed later. Germany plans to do so, but there's no order yet. It remains to be seen if this will pass the parliament if Trump imposes new tariffs on German cars. Another malicious interpretation of a deal coordinated with the customers. A typical example of recycling old news just to get some cheap headlines. The Reuters report is citing an internal report that had essentially remained unchanged from last year's, and all these "new problems" had already been well known for long. The A400M simply is the "national whipping boy", it's easy prey for any lazy journalist. I agree, that finding negative press about the Bundeswehr A400Ms is easy. Could be because the German public on average over the last 20 years got very critical against any military topic (and spendings in particular). While aerial refuelling of jets is in the process of certification in several air forces, a new pod that will allow refuelling helicopters has been announced. Actually, France is using the A400M in the Sahara to fly in supplies to semi-prepared runways. That is a nice excuse and there may even be a small element of truth to it but it isn’t the be all and end all of Indonesian military procurement. I've got more excuses: Maybe American marketing & bashing experts are as active in Indonesia as they are in this forum. "French DGA completes A400M’s in-flight refuelling trials with Rafale"
So i guess the same can be said about the C-17 then, just that the tactical mission is more compromised in it, where as the A400M compromises the strategic mission. Which makes sense given different airborne assault tactics on both sides of the pond. I guess just in civilian aviation it is up to MoI, LoI and Firm order How would that pan out? LoI 73 Units, MoI 60 Units, Firm 53? Belgium have eleven C-130 and do not fit into the category as defined earlier in the thread. The question remains though, does it directly impact capability if the Belgian C-130 has to cross the Atlantic a slightly longer way? The answer is no. Nor does it justify them acquiring an aircraft that can lift those payloads. Only in your attempt to justify a use case. The vast majority of the small operators we are talking about do not go anywhere near the distances you are suggesting as indicated by the list of operators lower in the reply. Malaysia, Indonesia, Sweden, Chili, Brazil, Kuwait, Morocco, Singapore, Argentina. Plenty of operators there with small and large fleets… If we talk the actual small operators then no but so few of them operate AAR tankers anyway the point is completely irrelevant. As for the capability, yes the KC-390 has it out of the box, the C-130 has the option for it if required and enough current flying KC-130s were modified from standard aircraft to demonstrate it can and is done. A KC-130J also isn’t that expensive, approx US$71 million in 2014. That is hardly a sum that means a nation should go out and acquire an airframe at nearly three times the cost to refuel and transport at the same time. KC-130s can also refuel and carry cargo like a normal C-130 should the need arise. Keesje, again look at the use case we are discussing. Small operates such as Botswana, Bangldesh, Camaroon, Chad, Chile, Columbia, Ecuador, Ethiopia, Gabon, Honduras, Iraq, Jordan, Mexico, Niger, Nigeria, Oman, Peru, Philippines, Portugal, Romania, South Africa, Sri Lanka, Sudan, Sweden, Tunisia, UAE, Uruguay and Venezuela. These are hardly world travelling nations and the vast vast majority of their transport fleet time is spent supporting local forces and issues. The requirement to cross the Atlantic, or even half that distance with the payloads you are suggesting does not exist. Are you actually trying to suggest that the above small operators only land their C-130 aircraft on hardened runways? Yes there is, like the RAF says. E.g. for relief operations you can fly in excavators, hospital, relief goods, like in the Caribbean. Nothing you have quoted above is for Special Forces. In fact if we look at the Harvest Hawk adaption for the KC-130 it is the most capable transport for supporting Special Forces and troops in general from a reasonably simple modified base aircraft. Last edited by Ozair on Wed Jun 13, 2018 5:57 am, edited 1 time in total. You clearly have no idea of what influences Indonesia. If American marketing and bashing experts are so good why is Indonesia flying flankers, why are they looking at acquiring Su-35? Wouldn't the dastardly Americans have paid them off by now? big difference is that with airlines buying less really has a chance to save money. ( you lose a minor bit of rebates from "not buying more". Mengenstaffel. The project fixed cost just distribute over less frames. All of the African nations you mention are part of African Union Standby force, which requires deployment in 14 days anywhere in Africa, including IFV/APCs. All of the European nations will benefit from commonality from other European bigger players, much in the same way different nationalities P3 Orion aircraft have been rotating in Djibouti and other African operations. The joint European defence fund has recently been modified to benefit only European players, so that excludes C-130. South/Central America is a bit further back on joint military peacekeeping/disaster relief, but they're heading on that direction as well. Brazil, Chile and Peru seem to be leading the efforts there. We both know the African Union force is about as token as it gets. Given the lack of investment, or even a shed of a sign of future investment in transport aircraft from any air force in the region I can't see evidence that that deployment timeframe is taken seriously. The far more likely scenario is contract IL-76 transport that would meet the deployment requirements. There are a multitude of private charter companies in Africa that would jump at that opportunity. France and Germany are both acquiring new build C-130Js, with France potentially replacing all their current C-130 fleet with new builds over the next 10 years. Are you suggesting France and Germany are saying only buy A400M from us but we will buy what we want from whoever we want? The KC-390 would be primed to take that role. I think France and Germany ordering a few C130J for specific reasons in a joint sqaudron basicly tells it all, it's the Waterloo of the A400M! Ha, see! But clearly Indonesia saw value in an aircraft larger and with more range than the C-130, worth the hassle of having a different pilot and spares pool. And they decided not to buy the modernized Il-76, a proven airframe with existing worldwide support. Maybe the A400M isn't entirely useless? I'm not saying the A400M is useless, never have, and I agree that Indonesia is acquiring the A400M with a purpose in mind (which is why their reduction of the order from five to two shows it isn't palm oil driving the sale). What I am saying is that the reduction in order quantity is a statement about the air transport requirements that Indonesia has. That is the crux of the issue, requirement, and why the A400M is struggling on the export market. Not enough militaries can justify the cost of the aircraft for the niche cases of transport where the A400M exceeds their existing platforms and where contract military cargo carriers cannot offer comparable capabilities. For the partner nations the A400M will likely do most of what they ordered it to but to claim that existing C-130 operators will upsize to the A400M solely because it is available and can carry more further is false. Now that things have quieted down, I'll address this a bit. There's a big difference between "negativity against aircraft" and "hate", and I do deny hatred of any aircraft, including A400M. I like/dislike aircraft but don't feel emotionally attached to them. Love and hate are deep emotions that I'll save for more meaningful circumstances. And it's clear that when people throw the "hater" concept around they have run out of ways to engage in the discussion so they attack the man not the idea. Just sayin'. I think A400M fans give it a free ride. Airbus sold the program by promising to run it on a commercial basis, but when things got tough they went back to the taxpayers for more money. That to me means they can't play the "every other military program has overruns" card. It was intended for cold war missions mostly to move resources around Europe. To do that it's got "strange" (to borrow Seahawk's term) compromises around size and range that drove other "strange" compromises such as engine choice. But it ended up taking so long to develop that the cold war ended before the plane was ready. Therefore it finds itself in a "strange" position with regard to the market. It's a jack of all trades that costs so much the compromises don't make sense, and if Airbus tries to reduce price to sell to other customers the current ones will riot so they're stuck with the high price tag. I think that's a big reason why Airbus has chosen to reduce staffing on the program: they realize they can never make money with it. So it seems I've fallen short of your "making just one A400M post without any negative information" metric. We can always hope for the future, can't we? I do think some of the relief and "small war" missions it's doing now are well done, but there's almost certainly more effective ways to do the same things with other assets that could have been acquired cheaper and/or quicker than A400M. I guess that's the closest I get to a positive statement. I think A400M fans give it a free ride. Airbus sold the program by promising to run it on a commercial basis, but when things got tough they went back to the taxpayers for more money. That to me means they can't play the "every other military program has overruns" card. In the C-130J program -- it was run on a commercial basis before the A400M --, Lockheed and the Air Force surely were cleverer when they agreed to keep financial experts in the dark about the program's costs. Congress and Lockheed created a need for the C-130J, It was a commercial procurement failure, the performance was failing as well (headlines from the linked report). But it was American, so no problem. Why am I posting this? Just trying to explain why your statement sounds quite insincere to me. BTW, Airbus are paying the major part of the A400M cost overruns. It was intended for cold war missions mostly to move resources around Europe. To do that it's got "strange" (to borrow Seahawk's term) compromises around size and range that drove other "strange" compromises such as engine choice. But it ended up taking so long to develop that the cold war ended before the plane was ready. Therefore it finds itself in a "strange" position with regard to the market. If there's anything strange, it must be your history book. In my book the cold war ended in 1989. The European Staff Requirement for the aircraft that turned out to be the A400M wasn't decided before 1996. And before the final decision for the A400M was made ca. 2000, there had already been the Kosovo war, where Europe had been unable to provide much aerial transport capacity. I don't think that it's by accident that most range maps for the A400M are centered around Paris and show large parts of Africa within it's range that lie within the French sphere of influence. This has very little to do with the cold war, neither do the overseas bases of the RAF. If you're looking for aircraft intended for cold war missions mostly, look at the C-130 and the C-17. It's a jack of all trades that costs so much the compromises don't make sense, and if Airbus tries to reduce price to sell to other customers the current ones will riot so they're stuck with the high price tag. I think that's a big reason why Airbus has chosen to reduce staffing on the program: they realize they can never make money with it. They realized that many years ago. Now that's their problem, but why should it be yours? I'm repeating myself: sounds quite insincere to me. Possibly anything that can be said against the program is good enough for you. The aircraft will still perform in the end, like many other former problem childs have done in the past. "It's not American, it's more modern than the American aircraft, so let's bash it." Noray, you do realise the difference between the two programs don’t you? The C-130J was developed, and sold, by LM commercially. The launch customer for the aircraft was the UK, which ordered more than two years previous to the US, while Australia ordered one year before the US and was the first to receive the -30 variant. So two international orders before the US even signed on. While I believe some of the criticism of the IG report was justified some clearly wasn’t. If we consider the contractual delivery issues, as the Air Force noted they had no issue asking and LM fixing defects. The USAF also didn’t need to provide additional funding. Noting as well that the US Congress funded 30 additional aircraft above what the USAF asked for. In that context what else could the USAF do other than accept early build aircraft and push LM for fixes, which they did, and wait for USAF OT&E to identify if the fixes had been implemented. The C-130J took a number of years to reach sufficient maturity. Contrast that to A400M development, where in 2007 Airbus Executives testified to British Parliamentarians as found in the following link. What Airbus executives said in response to questions, certainly with the assistance of hindsight and what we know today of the struggles the program had at that time, is borderline criminal. The Airbus testimony starts at EV28. 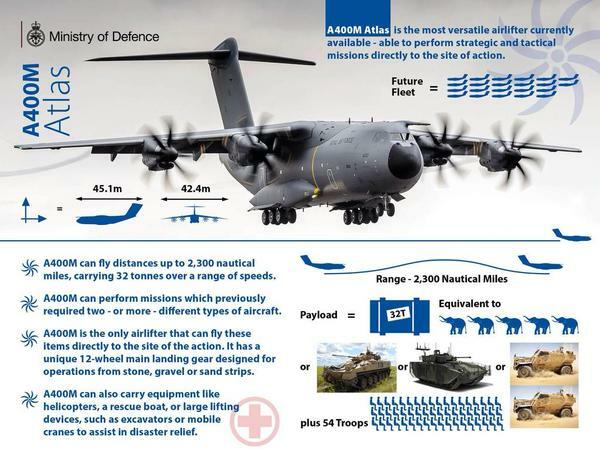 A real question; could The A400 been profitable if EU countries met their forecast?